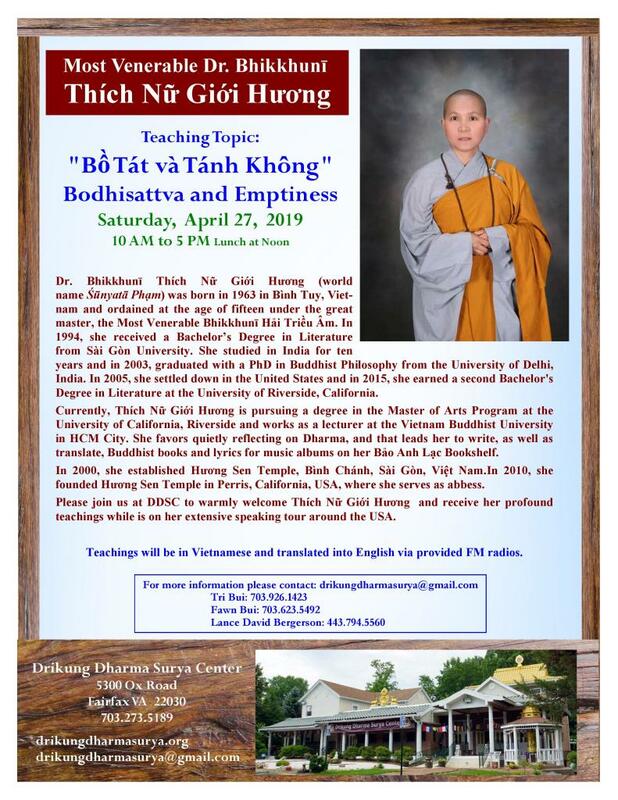 The DDSC temple is located in the heart of Fairfax County of Northern Virginia (5300 Ox Road, Fairfax, Virginia 22030), 30 minutes of drive from Washington D.C., the US National Capital. We wish to thank you very much for your faithful and unconditional support to contribute towards the fulfillment of the enriching mission DDSC. In August 2015, His Holiness the 37th Drikung Kyabgon Chetsang, the Supreme Head of the Drikung Kagyu lineage, Garchen Rinpoche and Lamchen Gyalpo Rinpoche have led the temple consecration opening ceremony and gave blessings and guidance. 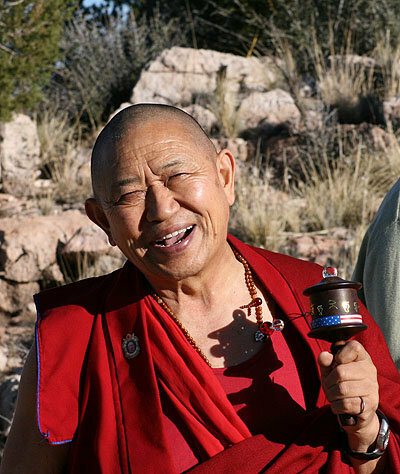 Garchen Rinpoche has reiterated that, “The goal of the Center [DDSC] is to generate loving kindness and peace – peace in the individual, peace within families, communities, peace within other faiths, peace among all beings. 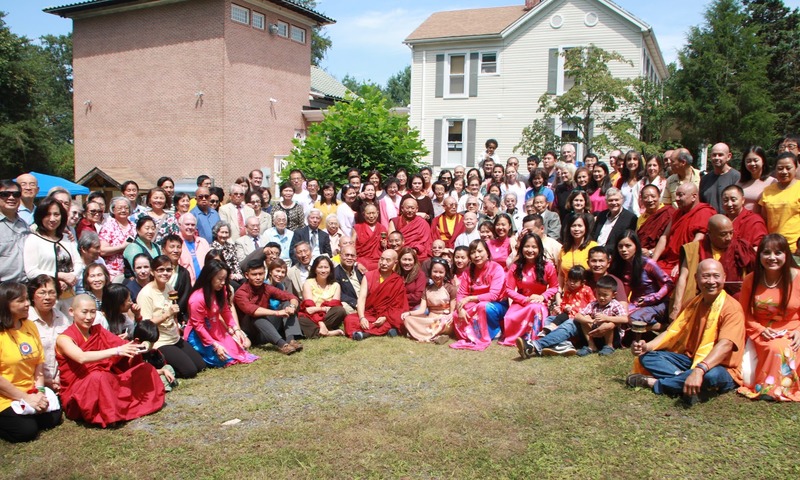 It becomes a space where beings can always learn about karma…This merit will become the cause of rebirth in the happy states in all future lives and ultimately the cause of attaining enlightenment…Our Center was created for the benefit of all the people living in this area and for the well-being of the country in order to eliminate violence and war”. 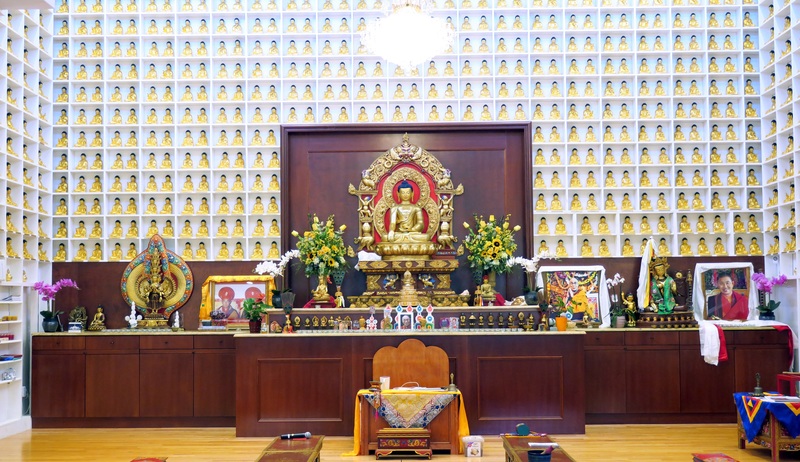 The main Buddha Shakyamuni, White Tara and Thousand-Armed Avalokiteshvara statues on the Temple altar in the Shrine Hall were consecrated with the relics of Lord Buddha Shakyamuni and other enlightened Masters, as well as other holy objects and substances, embedded and sealed inside the statues. The Buddha relics are known to have tremendous power and can bring great blessings to individuals and the surroundings. Moreover, the large prayer wheel housed in the pagoda in front of the Temple Shrine Hall contains billions of mantras of Buddhas, Deities and Dharma Protectors to bring blessings to the surrounding environment in which it is built, to those who built it, and to those who visit and venerate it. This prayer wheel with the mantras is a field of enormous merit which benefits all beings by preventing disease, obstacles and war, and by promoting harmony, prosperity, longevity, good health and peace. Just touching and spinning the prayer wheel with a motivation to benefit all beings without exception will bring great purification of negative karma and obscurations, and accumulate inconceivable merits. By spinning the prayer wheel, you practice virtues of body, speech and mind simultaneously – physical virtues by holding and spinning the wheel, verbal virtues as you send out the mantras, and mental virtues as you sustain mindful awareness and are not distracted as you spin the wheel. 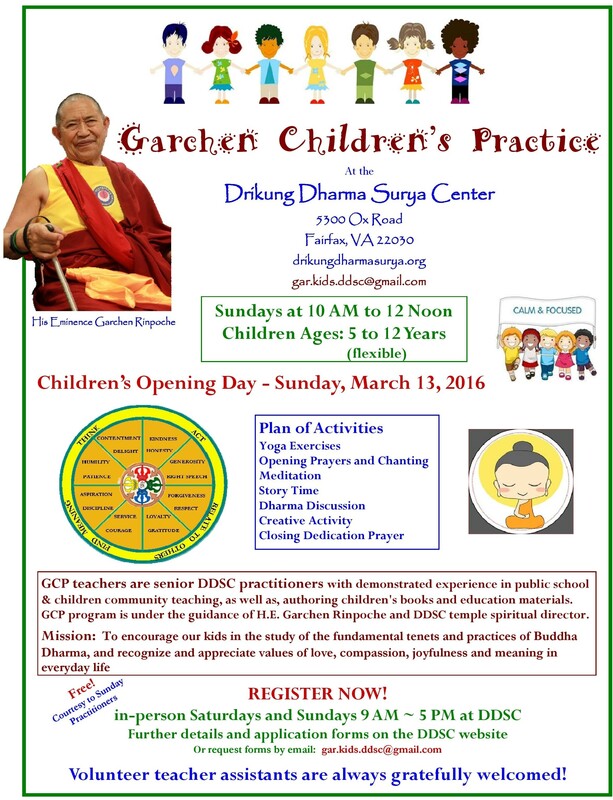 Everyone is welcome to DDSC Temple and is encouraged to come and study, practice, meditate, feel and receive the Buddha’s blessings. 2. Place orders for two (2) following featured items currently placed in the Temple Shrine Hall. “Click Here to Sponsor“ 1,000 Buddha Statues – Suggested Donation: $1000 each Buddha statue. $1,000 contribution can be made in one (1) time (non-recurring), or monthly (recurring) in 10 months, $100 each month.